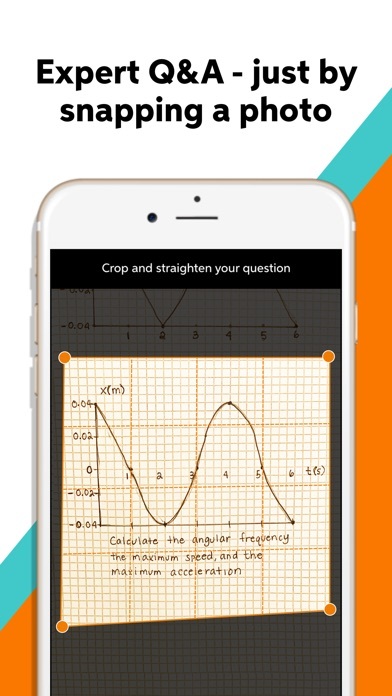 IOS App Developer: Chegg, Inc. 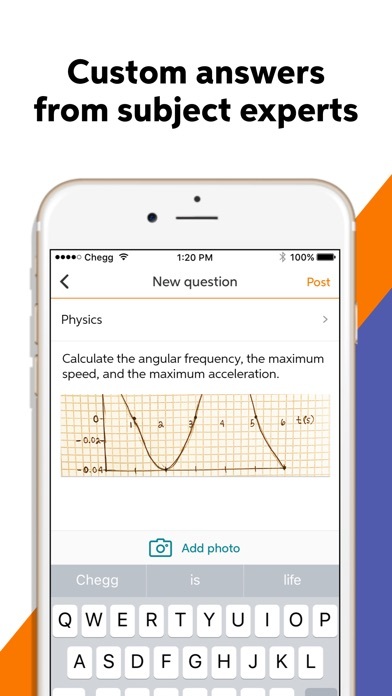 The answers I need are never on time and I wind up not needing this service anyways. So frustrating. Keeps logging me out, forcing passcode reset. I would probably have said 4.5 stars if it wasn’t for this fact. 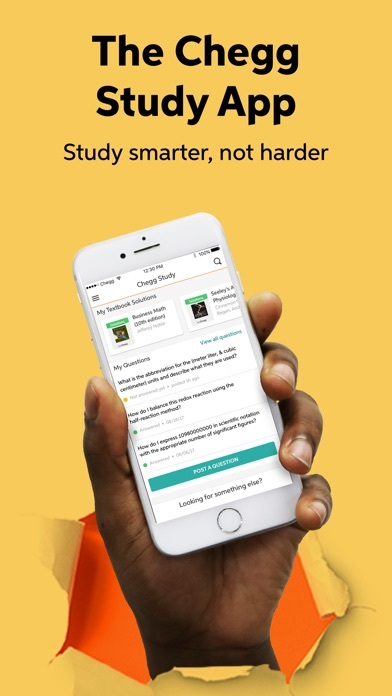 I’m not sharing me account like Chegg thinks I am, but it seems I get the boot maybe once a week. 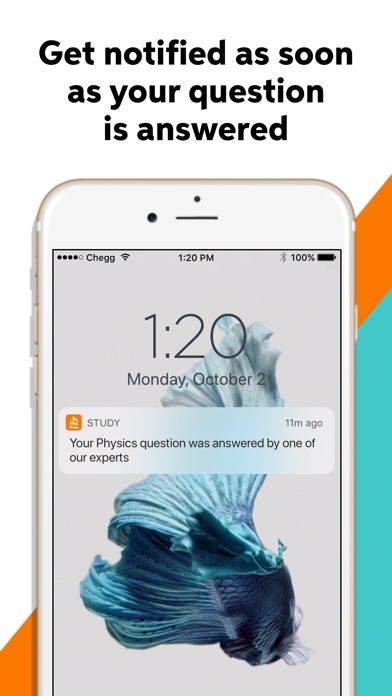 To be fair, I use the app on my iPhone, iPad, MacBook and sometimes the campus computer, which is why Chegg might think I’m sharing my account; that in mind, Chegg should be more accommodating than to have this “guilty till otherwise proven” approach built into the apps programming. It can be very frustrating when you’re in the middle of studying, and you have to spend ten-fifteen minutes recovering your account to check your work. 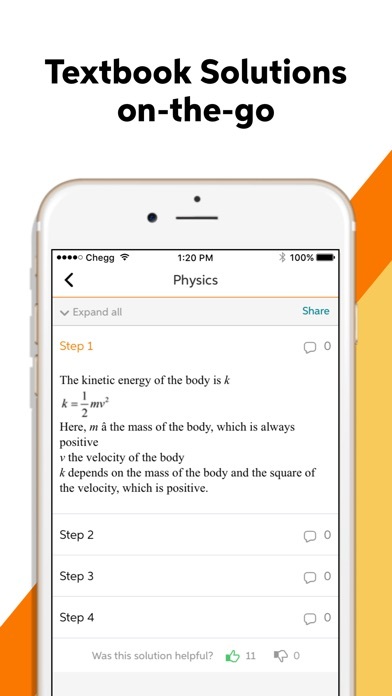 More IOS Apps by Chegg, Inc.